“It’s unfortunate that some people are mistaking the convenience of ‘looking in’ for the true safety of professionally monitored security,” reads an ADT press release. That indeed is the number-one benefit that companies such as ADT, Vivint, Alarm.com, and other contract service providers have to offer, compared to self-monitored solutions from the likes of Lowes’ Iris, EchoStar’s Sage, or DIY solutions that consumers might cobble together from disparate pieces. The service provider can almost immediately contact emergency responders on your behalf, versus depending on you to take notice of a message from camera, motion sensor, or other device that you’ve installed at home. 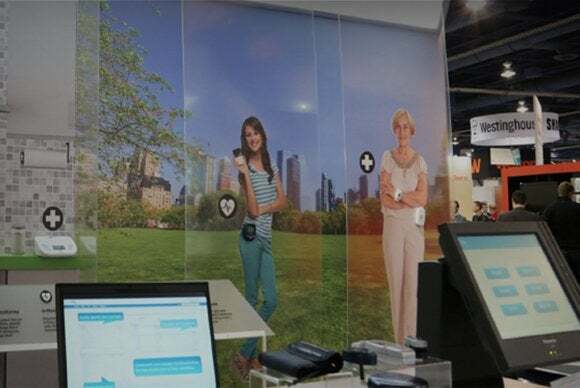 At CES, ADT touted its ability to display appropriate emergency services—fire, medical, or police—based on the alarm signals set from the home: Fire or smoke, high levels of carbon monoxide, or unauthorized entry to the home, for instance. The downside to monitored solutions such as ADT’s Pulse is the monthly service fee that comes with it. Hey, somebody has to pay of the cost of those facilities and the salaries of the people keeping an eye out for your home! But ADT also realizes it needs to keep up with the latest developments in home control. If they allow their systems to fall behind and not offer the latest tools and conveniences, it will be difficult to keep justifying those subscription fees. ADT Pulse IFTTT Integration: ADT and IFTTT became partners in August 2014, and since then have worked to connect ADT’s Pulse products with more than 100 existing IFTTT channels. For example, an IFTTT weather channel might tell the ADT home system “if the outside temperature goes higher than 80 degrees, then turn the ADT thermostat down to 68 degrees.” The companies anticipate that the ADT-IFTTT channels will be available later in 2015. ADT Pulse Voice: This app works on both iOS and Android devices and allows homeowners to arm their security systems as well as automate their household appliances. The app verifies a person’s identification through a secret phrase, voice recognition, and confirming the identity of a mobile device. ADT said that the voice feature will be particularly helpful for their visually impaired customers.